NOTE: This wiki page will be updated with proper wiki formatting including a table of contents in a couple weeks. 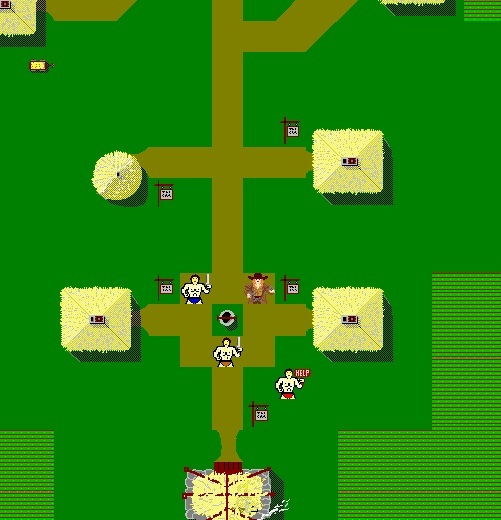 "Castle of the Winds is a cult classic RPG for Windows. 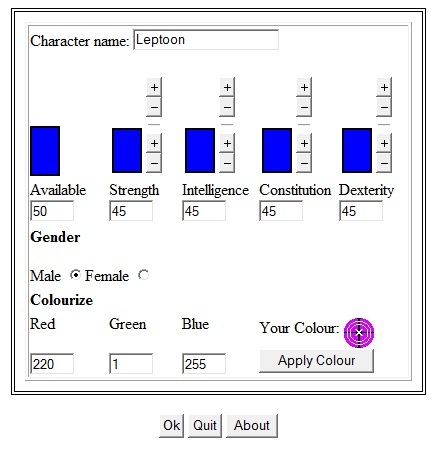 At the beginning of the game, you have ability points that you can distribute between three characteristics, and you can choose your hero's gender. The storyline is linear and the gameplay and inventory system are cunningly simple. In contrast to the cities, the dungeons are almost monochrome, and the graphics throughout the game are minimalist. It may not look like much, but something about it makes it surprisingly fun. There are two volumes in this game, with only the first volume playable in the shareware version." From the right: myself, my then co-dev and his friend sometime in Aug. 2012. My main objective with this project is to create an online, multi-player experience using the Build Your Own Net Dream (BYOND) framework, based entirely in the setting of the original single-player game. 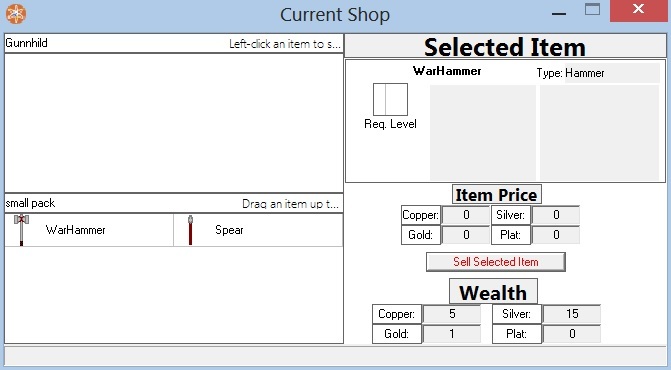 This is the basic idea that I plan to expand on with additional features and functionality. First and foremost, I want to make the game exactly like the original but better. What does better mean, you ask? SFX, for starters. That's right. CotW with sound!!! (and music too) Secondly, I plan to expand the game to make it a true MMO. I'll be adding new cities, new monsters, weapons, armor, spells, etc. I was given the source code of the original CotW by Rick Saada himself so my online version of CotW will have many of the same features as the original. Updated graphics for new towns and equipment are also planned, but everything from the original game will stay the same graphically. I also plan to add several new things to bring the game up-to-date. This will include a PvP system, player houses with purchasable furniture and storage, entire classes of new weapons, armor, spells and monsters, plus randomly generated dungeons. There will be literately hundreds of new items with mostly the same traditional feel as the old ones. I also plan to add an extensive quest and NPC system, and expand on the storyline set in the original CotW. This game will be revolutionary. Maybe not from a AAA standpoint, but as far as BYOND games go, this game will include many advanced features that are not found in any other BYOND-based RPG. CotWO will push the boundaries of the BYOND framework and by utilizing the social networking of the BYOND community, new players will be able to find CotWO easily and begin playing immediately without installing any additional software. CotWO will be the first ever persistent MMO released on the BYOND framework. There will be only one server, it will be online at all times (with scheduled down time for maintenance) and all players will be able to interact with each other through persistent accounts, across the entire game. Previously, BYOND games used personally hosted private servers or sometimes dedicated servers with persistent character data. This meant that if the person hosting the server you were playing on decided to stop hosting it, you lost your game progress and had to begin again on a different server. The difference with CotWO is that there will always be only one game world, only one set of data and only one server host. The following Google Docs documents can show you the current state of development and the features that are being working on. Please note, these are both a bit outdated since I halted development in 2012. 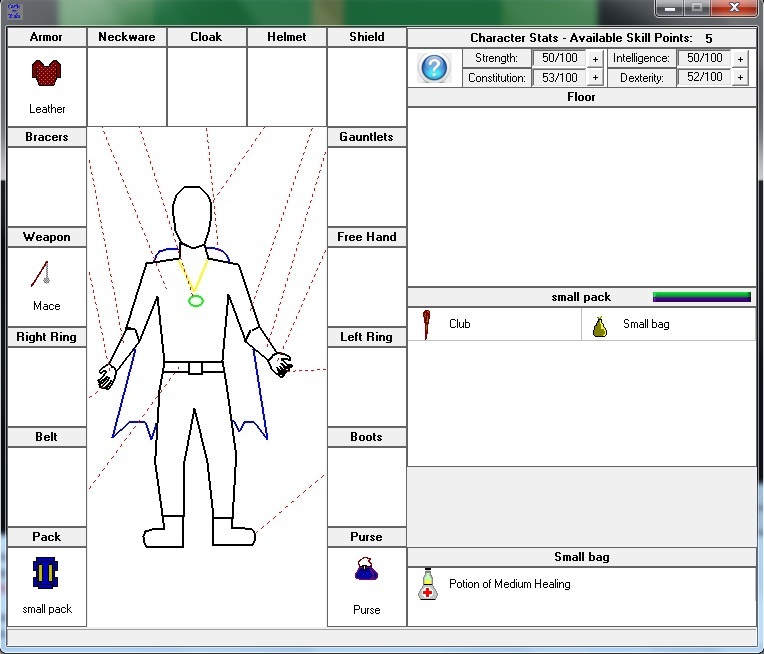 Powers Graph - Skills or abilities in CotWO are called powers. There will be active powers and passive powers. The active powers can mostly be learned with spell books that can be purchased (combat and healing powers) and the passive powers can only be learned by reaching a certain base attribute level (strength, intelligence, constitution or dexterity). This means players that wish to specialize in magic can level up their intelligence and unlock better passive powers related to magic, while never seeing powers related to strength or vice versa. Some powers have only one level while others have up to five (each level increasing the effectiveness of the power). For every base attribute point you gain for defeating enemies or completing dungeon quests, you will also receive a power skill point. Power skill points can be used to train powers from level 1 to (up to) 5. To Do List - This is a list of features and functions that are (or were) currently in development. Please feel free to add me on Facebook or message me here on the forum. I'm always eager to hear new ideas and suggestions. The game runs on BYOND but if you don't have it, that's totally okay. Just download the .RAR file below and run the executable. It will download and install Byond then immediately connect you to my CotWO server. If you already have BYOND installed, please click this link. This page was last modified on 23 November 2016, at 16:11.